Governor Jerry Brown fashions himself as a global leader on climate change, but he's gone missing in action now that his plan for reducing greenhouse gases is under attack. In his inaugural speech in January, Governor Jerry Brown outlined a sweeping plan for reducing greenhouse gas emissions in California. 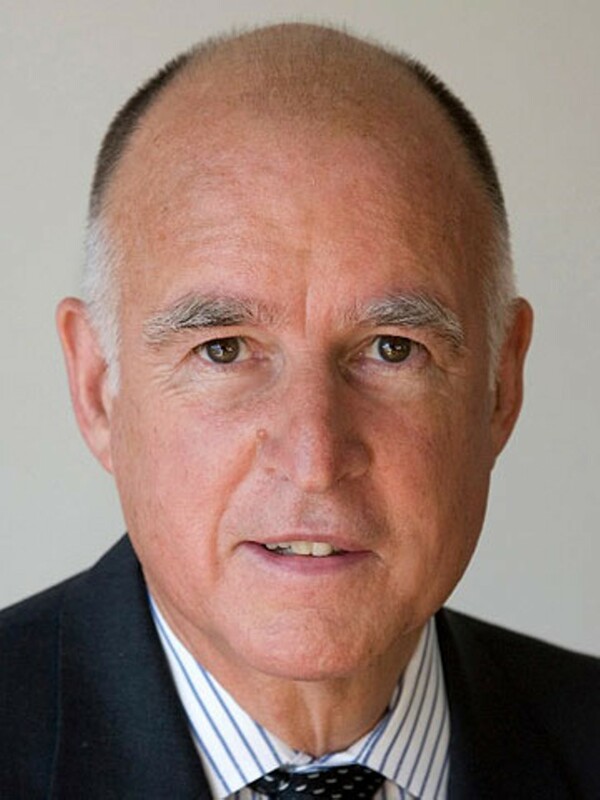 Brown, who has long sought to position himself as a global leader in the fight against climate change, called for increasing the state's use of renewable energy to 50 percent by 2030 and slashing gasoline use in cars and trucks by half during the same period. Brown called his bold plan "absolutely necessary if we are to have any chance of stopping potentially catastrophic changes to our climate system." However, now that his plan is facing loud opposition from the powerful oil and gas industry and is jeopardy of being defeated, the governor has suddenly gone silent. After Brown's January speech, Democratic state Senate leader Kevin De León and state Senator Mark Leno, D-San Francisco, responded with legislation that closely mirrored the governor's proposed climate blueprint, calling their bill, SB 350, the "Clean Energy and Pollution Reduction Act of 2015." The bill, which is co-sponsored by Berkeley state Senator Loni Hancock, quickly passed the upper house of the legislature, but has stalled in the Assembly because of fierce lobbying by Big Oil and Big Gas. In a piece of chicanery, the fossil fuel trade organization, Western States Petroleum Association (WSPA), created an astroturf group earlier this year called the "California Drivers Alliance," which has funded an intense campaign of TV and radio ads and mailers targeting moderate Democrats in the Assembly. The ads, which contain conspiracy theories of mostly false and misleading claims about SB 350, are designed to scare voters and get them to contact the moderate Dems so that they'll vote "no" on the climate bill. One of the TV ads, for example, falsely claims that the legislation, which it dubs "The Gas Restriction Act of 2015," would "limit how often we can drive our own cars" and that the state "will also be collecting our personal driving habits and tracking how much gas we use" and is considering plans to "penalize and fine us if we drive too much or use too much gas." As the Sacramento Bee noted earlier this week, SB 350, and accompanying legislation, would do none of those things. In the halls of the state Capitol, oil and gas industry lobbyists are also spending big bucks — about $8 million in the first six months of this year alone — lobbying moderate Democrats to oppose the bill. Through June 30, WSPA reported spending $2.5 million on lobbying against SB 350, while Chevron paid lobbyists $1.5 million during the same period to defeat it. And the California Chamber of Commerce, which is largely funded by oil and gas companies, spent $2.1 million lobbying against the governor's plan. Other big lobby expenditures against SB 350 came from Phillips 66 ($506,780), the Alliance of Automobile Manufacturers ($474,464), and the California New Car Dealers Association ($445,021). Unfortunately, it's perfectly for oil, gas, and auto interests to spend as much money as they want on lobbyists and create fake political campaign groups that run ads that are chock full of lies. Unfortunately, it also works. Moderate Dems in the Assembly are now panicking and threatening to defeat SB 350 unless it's watered down dramatically, and may even attempt to overthrow Democratic Assembly Speaker Toni Atkins because of her support for the legislation. In short, as the 2015 legislative session nears an end, the governor's "absolutely necessary plan" for combating climate change is in serious jeopardy. So why, then, isn't Brown lobbying publicly for his proposal when it's most needed? And why isn't he publicly calling out Big Oil and Big Gas for their campaign of deception? Brown's timidity in the face of Big Money, also unfortunately, is nothing new, especially when the cash flows from the fossil fuel industry. Two years ago, when it looked as if California might ban fracking, Brown capitulated to intense pressure from oil and gas interests, and instead greenlighted the expansion of hydraulic fracturing in the state, despite the fact that the oil and gas extraction method wastes water, pollutes groundwater, causes air pollution, and triggers earthquakes. Part of the explanation for Brown's current silence could be due to the fact that he has a long history of accepting millions in campaign donations from oil and natural gas companies. He also has solicited hundreds of thousands in donations from the industry for his two Oakland charter schools: the Oakland School for the Arts and the Oakland Military Institute. The governor is also a very smart, experienced politician. He knows that, oftentimes, rhetoric trumps action — that as long as he continues to claim that he cares deeply about climate change and proposes bold plans to reduce greenhouse gases, the mainstream press, in all likelihood, will give him a pass, even if he suddenly goes missing when it's time to actually do something.